Dahlias, zinnias and rudbeckias flower throughout summer and autumn, right up to the first frosts. Plant seedlings or plants from your local garden centre for a non-stop floral display. 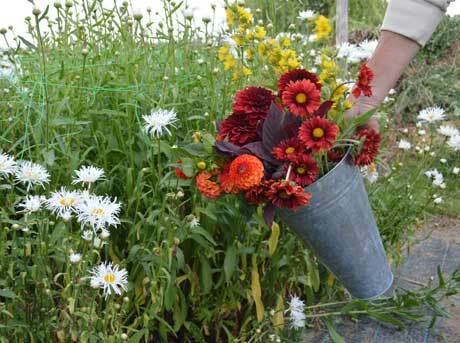 Shasta daisies (Leucanthemum x superbum – pictured on the left) are great for the summer and autumn garden too – and, like dahlias, zinnias and rudbeckias – make great cut flowers. All enjoy full sun and free-draining soil. 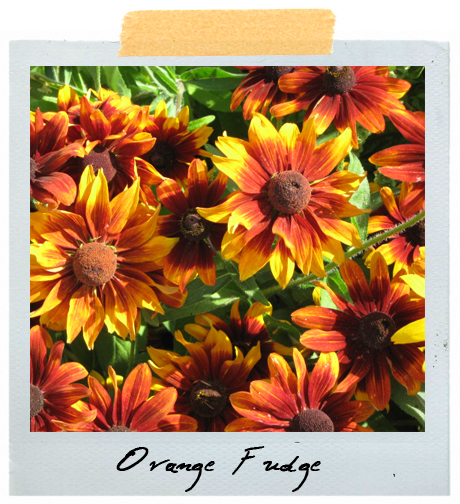 Rudbeckia hirta ‘Orange Fudge’ is a new offering from Kings Seeds with fudge-brown cones and orange and yellow bi-coloured petals. It flowers from spring till autumn, tolerates heat, drought and poor soils, grows to a height of 50cm and has sturdy stems that are great for picking. 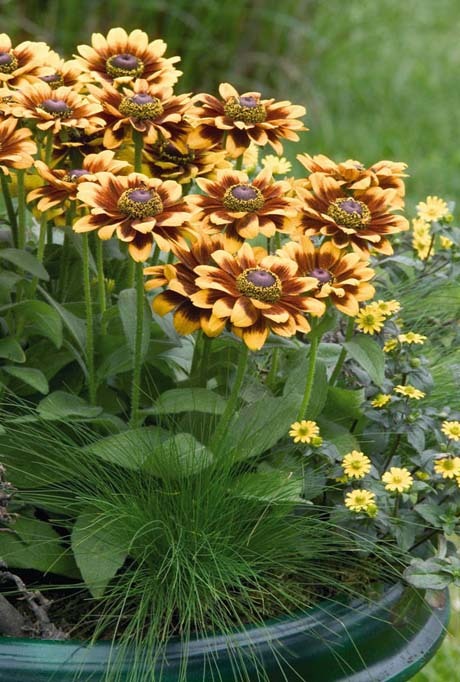 Rudbeckias are dead easy to grow and you can sow seeds now for a mid to late-summer display. Sow in trays or pots for transplanting later.